An Ultimate level Fairy Digimon said to be the largest flower in the Digital World. While its appearance is so beautiful that it enraptures all who lay eyes upon it, the stench it emits is out of this world. There are a number of people who fell for Rafflesimon's beauty at first sight and sought to find it again after a single glance. However, Rafflesimon's lifespan is short, and its life processes will cease after just several days have passed. Because of the extremely low likelihood of being able to catch sight of a Rafflesimon, it is also known as the "Miraculous Flower". Despite its circumstances, Rafflesimon never expresses any pessimism about its looming death, constantly yearning to live a normal life and dancing elegantly till its very last. Its Special Move is firing its sleeve like a cannon (Ballet Gun). It utilizes the large flower petals that dance around it as reflectors, reflecting its shots so that no enemy can escape. Not only that, it can also shed scales from its body (Wisselen). These scales cause anyone whose body they have latched onto to lose consciousness and turn into Rafflesimon's servants. Title: 「奇跡の花」 - "Miraculous Flower"
n., From Rafflesia arnoldii 「ラフレシア Rafureshia」, commonly called the corpse lily, a species of flowering plant in the parasitic genus Rafflesia. 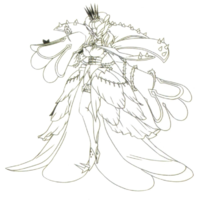 Rafflesimon was designed by Nakano Haito. 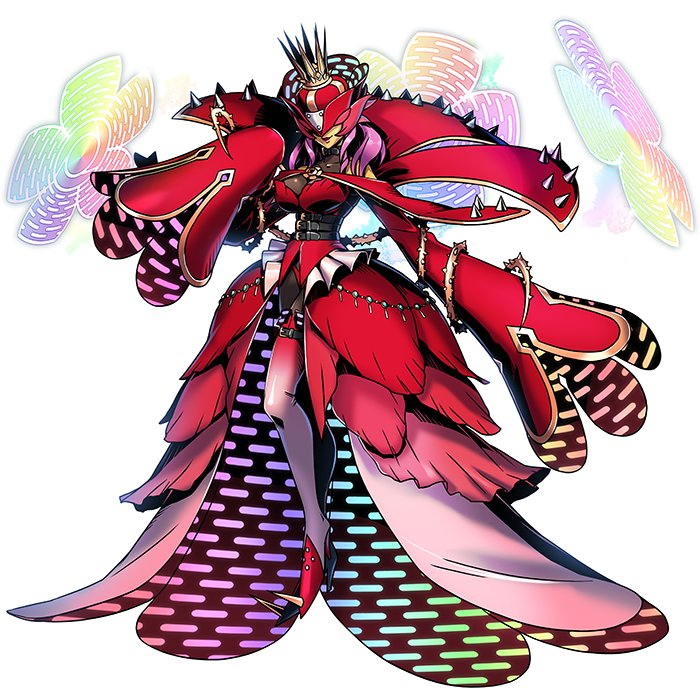 It was originally designed similar to Omegamon, as a fusion of Rosemon and Lotusmon, however he was told to instead base the design on the Rafflesia arnoldii, and make it feminine. バレエガン Barē Gan Fires its sleeve like a cannon, while utilising the large flower petals that dance around it as reflectors. Wisselen  Dut: Change ウィスレン Wisuren Sheds scales that latch onto the opponent, causing them to lose consciousness and turn into Rafflesimon's servants. ↑ Rafflesimon's initial artwork was illustrated by Nakano Haito. This page was last modified on 17 April 2019, at 05:09.